and 2016 CTS-V, we’ve seen them in pictures, but we’ve yet to see them in the metal in Canada…until now! The super high-performance V-series models made their Canadian debut at the Canadian International Auto Show in Toronto (February 13-23, 2015). Canadian dealers, including WallaceChev, have already starting taking orders for the 2016 ATS-V, Cadillac’s very first luxury compact performance car. Powered by a twin-turbocharged 3.6L V6 producing an estimated 455hp and 445lb-ft of torque the ATS-V already promises to be the lightest and most-powerful performance car in the segment. Reaching 0-96km/h in just 3.9 seconds and hitting a top speed of more than 299km/h (185mph), the ATS-V, available in both coupe and sedan form, promises to be the perfect marriage of luxury and outright speed in the compact class. The ATS-V sedan will begin at $67,550 while the ATS-V coupe is priced from $69,855. If you are looking for a vehicle with slightly more space, or if 455hp just isn’t quite enough, step up to the mighty CTS-V, the most-powerful vehicle Cadillac has ever produced in it’s 112-year history. 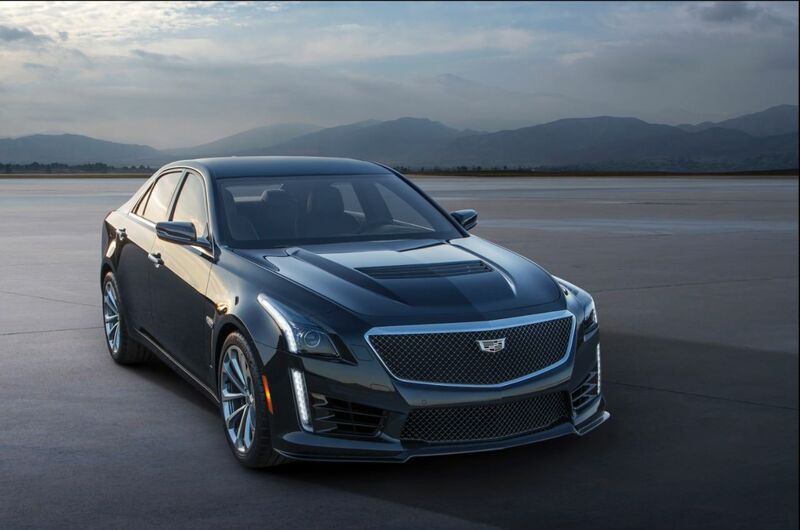 The third-generation CTS-V delivers an astonishing 640hp and 630lb-ft of torque; more power than a Ferrari 458, Lamborghini Huracan, Porsche Turbo S, BMW M5, Bentley Continental GT Speed and a long list of other ultra high-performance yet highly expensive vehicles. Be in no doubt, with 0-96mk/h dispatched in just 3.7 seconds and a top speed over 320km/h (200mph), the new CTS-V can run tire-to-tire with the giants for a fraction of the cost. No official pricing has been announced as of yet. It’s the dawn of a new performance and luxury era at Cadillac and we’re absolutely thrilled to be here for the ride.